Most likely to be a pest in damp or acid soils. Large yellow flowers, rough leaves, creeping stems that root at every node. Spreads quickly, the runners criss-crossing and forming dense mats. Can be dealt with methodically by digging up each plant, which is fairly easily done as they are shallow-rooted, but removing the source of all new plants or stolons seems impossible. A familiar perennial, spreading around the parent plant by means of its dividing taproot, and far and wide by means of its fluffy seeds. Impossible to eradicate, as any bit of root left in will grow a new set of leaves. 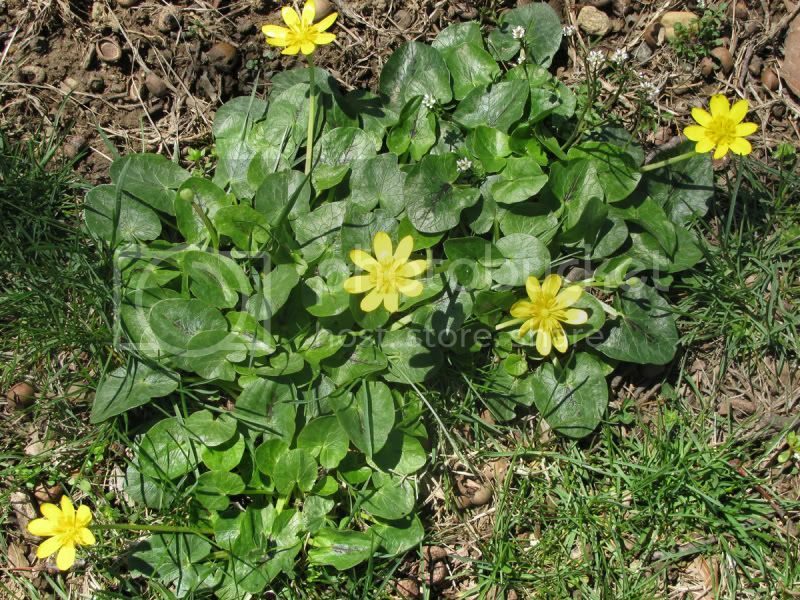 Basically an attractive plant with plenty of neat bright yellow flowers and edible leaves. Seed heads attractive to Bullfinches, and the plant does have medicinal uses. Go over and visit Drowsy Monkey at Mellow Yellow Monday for other participants. I know it is sacrilege, but I've always liked dandelions. It's tempting to just leave them be. Don't have the buttercup, but do have plenty of dandelions! Lawn guy sprayed them so we'll see if they go away. 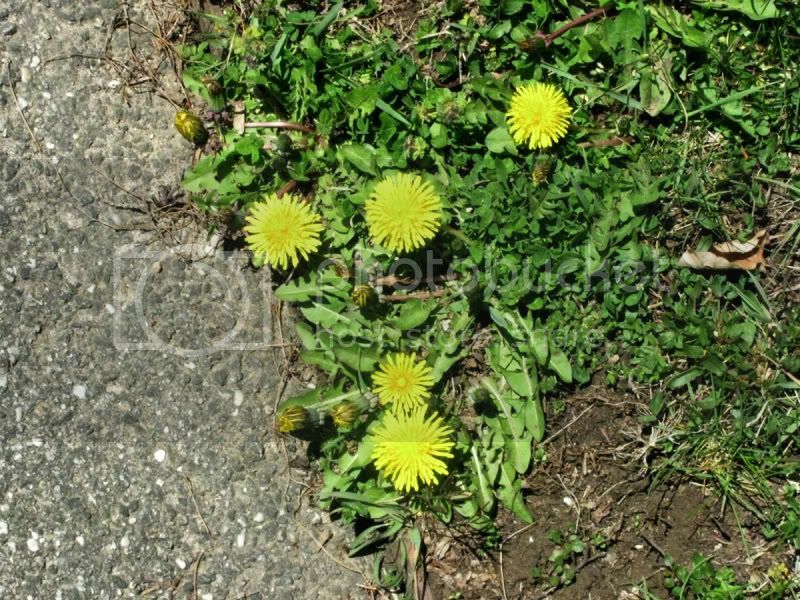 Looks like the dandelions are popping up everywhere. Dandelion greens are also good to eat. My Nonna used to fix them all the time. I love your weeds, Mary. They are as bright and sunny as any other flower. The buttercups are pretty enough to leave alone. These are the kind of weeds I'll allow to grow in my garden -- they're so pretty!